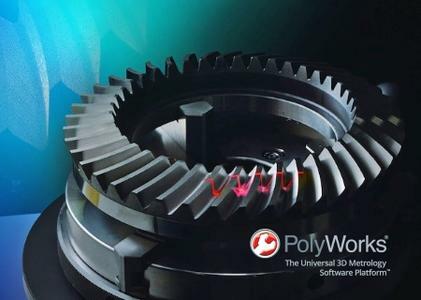 InnovMetric Software Inc., a leading provider of universal 3D metrology software solutions, has announced the launch of PolyWorks 2017 IR1, the latest release of the company's universal 3D metrology software platform. Below are the highlights from the newest version of one of the most popular pieces of software in Metrology. With the new dimensional-control-centric approach in PolyWorks 2017, the PolyWorks|Inspector� 3D metrology project is the report! By enabling measurement specialists to communicate results directly in 3D, considerable productivity gains are guaranteed for our customers. PolyWorks 2017 also empowers reviewers to investigate measurement results contextually in 3D with dynamic navigation tools." - Access a global list of dimensional controls sorted by characteristic index, making it the ideal tool to prepare first-article inspection reports. - Add custom controls to the global list of controls; for example, those measured using manual gauges. - Easily split an inspection project into small and logical groups of controls called Control Views. - Tie individual controls to specific data alignments and coordinate systems, enabling multicontextual Control Views. - Search, sort, and filter controls to highlight critical results. - Display control views automatically in 3D with the right point of view. - Generate formatted reports automatically. - Predefine and configure a list of laser tracker devices, and connect to multiple trackers simultaneously. With PolyWorks 2017, to guide assembly building in real time, switch the active tracker instantaneously and feed measured reflector positions to digital readouts. - Align point-to-object using a powerful technique that aligns points to different geometrical characteristics of matched objects (such as center points, axes, or surfaces) and control the alignment direction, weight, and participation to the scaling factor computation for each pair of matched geometries. - Probe surface features before their nominal components are defined or the part is aligned to the CAD model. Measurement specialists who define probing and laser scanning paths on CNC CMMs now have access to a collision analysis engine that detects potential tool collisions with the part or the fixtures, and provides visual feedback on problematic tool paths in the Sequence Editor and the 3D Scene. - PolyWorks collision analysis is carried out in real time while the measurement sequence is created or edited, such as when new measurement objects are added to a sequence. This allows operators to immediately fix problematic tool paths and avoid accumulating issues. - PolyWorks collision analysis is performed both offline and online, and warns users about potential collisions even when they launch a measurement operation outside of the Sequence Editor. Traditionally, this feature is offered solely as an offline functionality in other software. Founded in 1994 and headquartered in Quebec, QC, Canada, with subsidiaries worldwide, InnovMetric Software Inc. is the leading provider of universal 3D metrology software solutions. The world's largest industrial manufacturing organizations (Toyota, GM, Volkswagen, Honda, BMW, Daimler, Ford, Rolls-Royce, Pratt & Whitney, Boeing, Embraer, Bombardier, Apple, and many more) trust InnovMetric's PolyWorks software solutions and associated technical services to maximize the benefits of 3D measurement technologies for their engineering and manufacturing applications.